A One Stop, No Fuss Reseller Package That Works. Drive Traffic To Your Mobile Site! InstantMobile is your one stop shop for all of your mobile needs. We offer a diverse set of features to our clients looking to convert their existing websites or create new platforms. Going mobile is something that an increasing number of companies are doing, as this is what consumers are saying they want (in light of a wealth of surveys). If you are looking to expand your business, and want a solid foundation for securing your customers’ interests, let us help create your mobile site today. Within minutes, you can craft a customized platform tailored to your specific needs. Here are just some of the features we offer, and why they matter for business today. 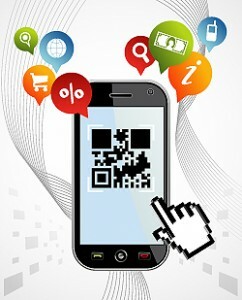 What can InstantMobile do for your business? Our Easy Mobile Builder will be the nuts and bolts of your site. We build your site with you in mind. This means that when you receive your mobile product, you will be given the tools to manage it on your own. By working within a user-friendly content management system, the sites we generate are effective yet simple. In addition, we give our customers the ability to launch their own private pages, which means you can assess them before making them public. You will get to see firsthand what your customer sees, and this is worth its weight in gold. Aside from the custom design and development themes that are also available, our mobile system retains the SEO elements of your current site. In addition, your customers will be able to visit the latter by an easily accessible link at the bottom of the page. There are number of different modules that you can utilize within the content management system, and each can be added or removed with ease. From store location tools that allow you to create and manage an unlimited number of locations with customized contact information, to simple video and photo integration, our modules were designed with mobile in mind. 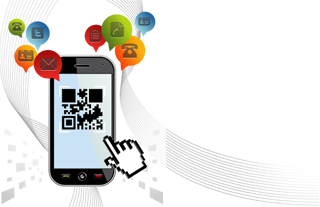 Your mobile site would not be complete without an effective method for marketing it. The platform InstantMobile uses can easily integrate social networking links like Facebook and Twitter. Your users can like your page and follow you instantly from the home page. The program also provides you with the tools you need to effectively track vital statistics such as traffic data, as it is Google Analytics integrated. With our Lead Capture Form, you will be aware at all times who is viewing your site. This is beneficial in that allows for vital marketing analysis. Finally, InstantMobile offers a fully functional reseller program. With multiple affordable pricing plans available, there is a program for everyone. Get your campaign started today! DJ has been a high profile Internet Marketer since 2001. He is the CEO of TechWyse and as a passionate member of the Internet marketing industry is a key contributor on the 'Rise To The Top' and the InstantMobile Blog. Should Your Company Build a Mobile App or a Mobile Website? Is Your Business Ready to go Mobile? © 2019 Mobile Website Builder | Mobile Marketing Solutions & CMS ‐ InstantMobile. All Rights Reserved.